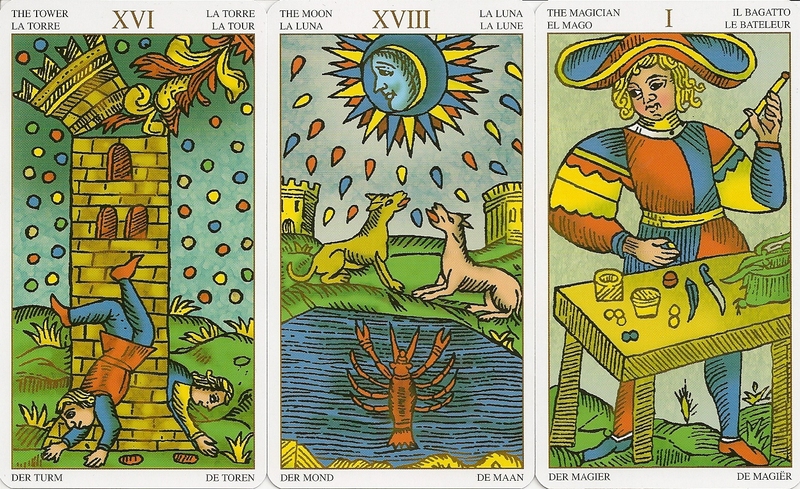 The Universal Marseille Tarot is based on a Swiss deck created in 1751 by Claude Burdel, retaining the woodcat look but recolored. 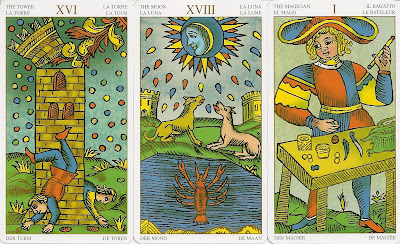 The card images have thick black line-work, filled in with a rendered, smooth blend of colour. The Trumps show the number centered at the top in Roman numerals. The outer white border on the faces of the cards also contains titles in six languages on the trumps and court cards . 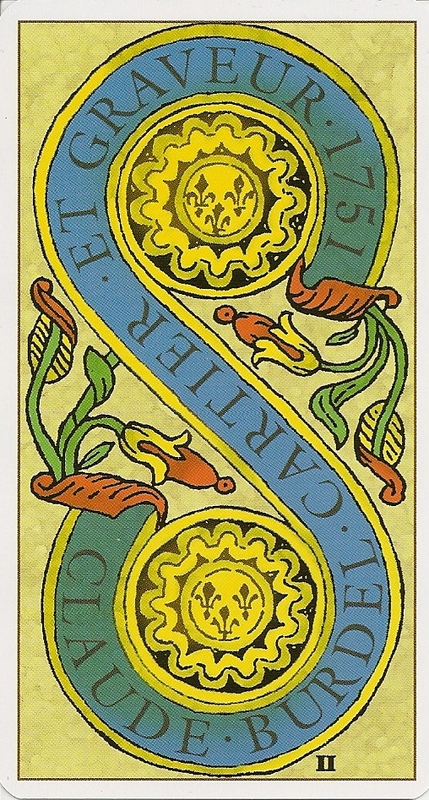 The Pips show the number in small Roman numerals at the bottom of the card. In the LWB Bursten presents the 3 X 7 theory, based on Plato's theory of the soul being divided into three parts: The Soul of Desire, The Soul of Will, and The Soul of Reason. Trumps I-VII represent the Soul of Desire, Trumps VIII-XIV represent The Soul of Will, and Trumps XV-XXI represent The Soul of Reason. Cards I-V represent worldly powers. Along with the LWB, there also is a full book by Lee Bursten.